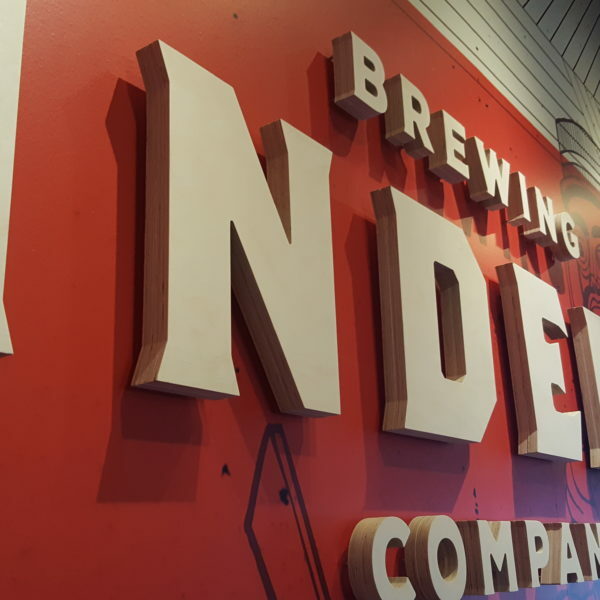 Interior Signs - Creative Color Inc.
Our highly skilled signage development team specializes in creating effective designs and concepts that define your brand on all levels. 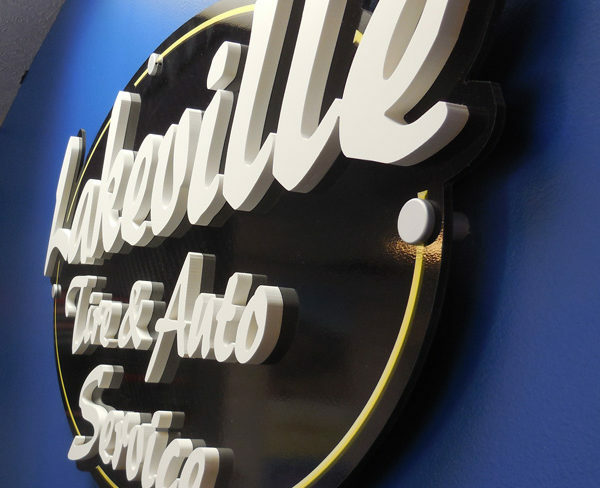 We have a great deal of experience establishing functional, attractive, attention-getting sign systems for a wide variety of businesses. 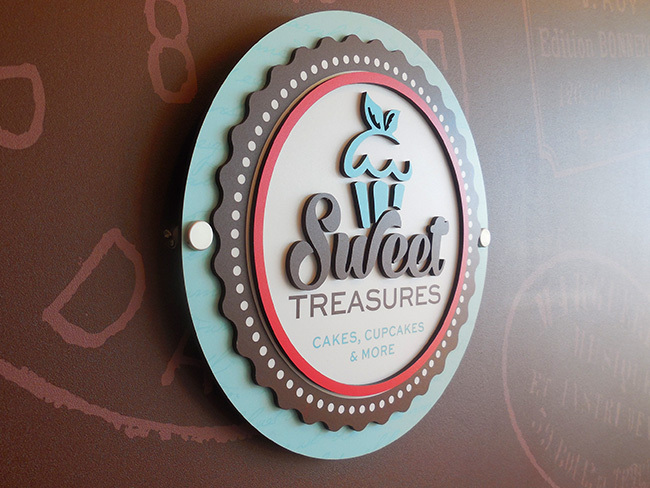 We use many different materials and sub-straights for our interior fabricated signs. PVC, Acrylic, Wood and Metals to achieve the look you desire. Our materials come in many different thicknesses as well. We enjoy mixing mediums to create strong, fresh, trendy, on-point designs that stand the test of time. 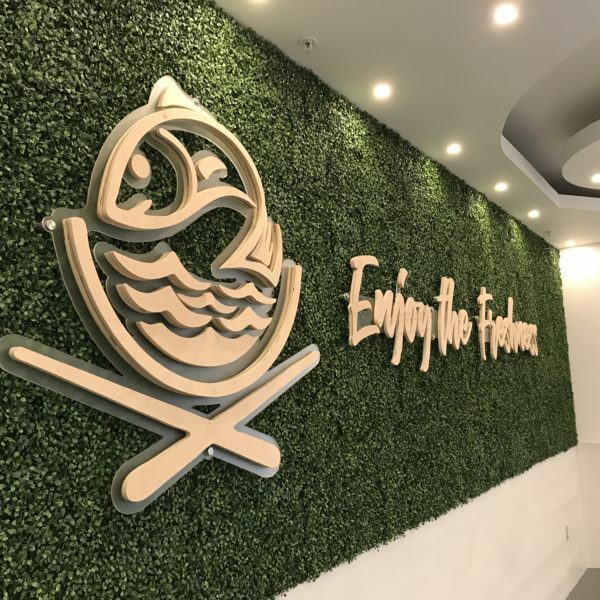 Utilizing best in class digital printing and finishing technologies, we are able to create high quality innovative products on a wide variety of roll-fed and rigid goods. No problem. Our Skilled CNC operators can take the most challenging of designs and turn them into a work of art. We offer the highest quality base materials for your project and can help guide you to the products that best fit your needs, and more importantly your budget. You only have one chance to make a strong first impression. 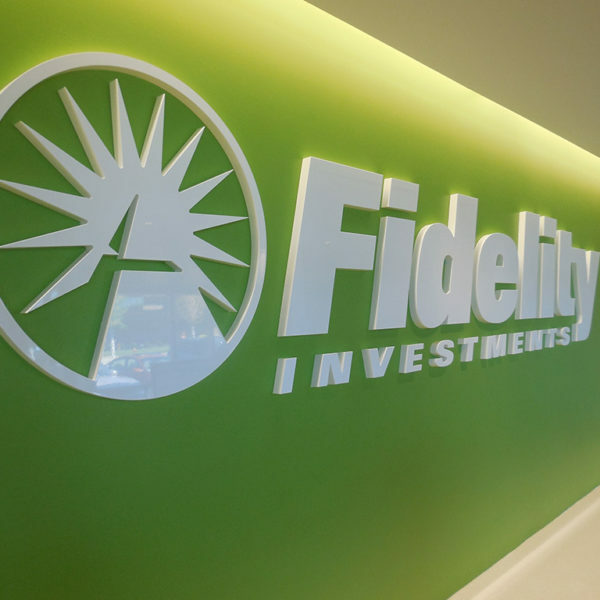 Give you clients the confidence they seek from the moment they enter your facility. We truly believe that your company’s brand image is a direct correlation to your products, services, quality and reputation. We pride ourselves in creating unique custom reception signs that deliver your companies message in a convincing manner. 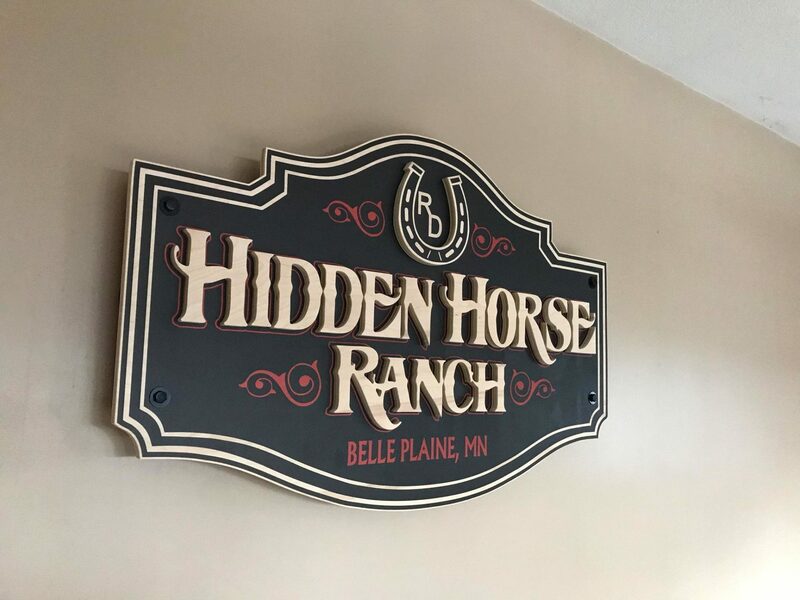 We use many different materials to fabricate interior lobby signs. From acrylic, pvc, wood, and aluminum to give you the most unique look possible. 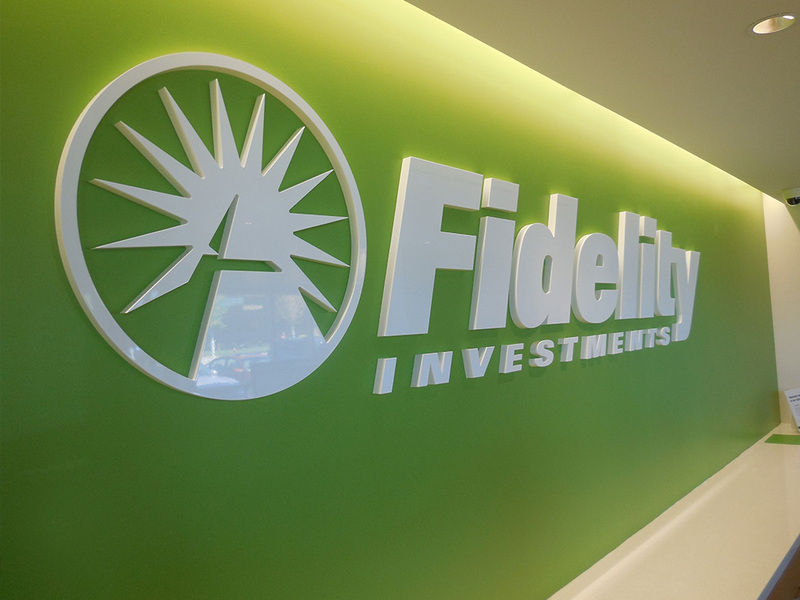 Full color graphics combined with high quality wall stand offs create a very professional look. 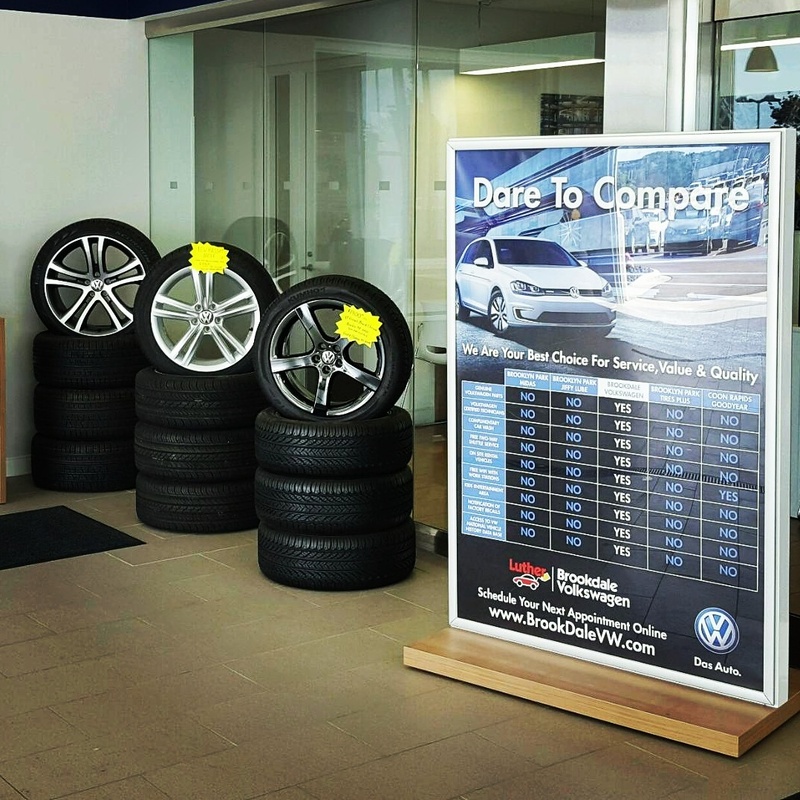 Point of Purchase Signs are important as they capture your customers attention and inform them of your product or services. 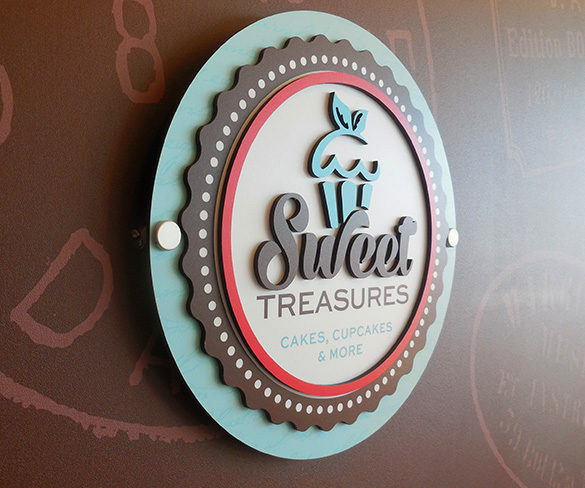 We can help fabricate any type of POP sign needed. Your business environment should be simple to navigate with clear concise direction for your customers. We strive for consistent typography, font height, icon/logo placements, color scheme and material choice. 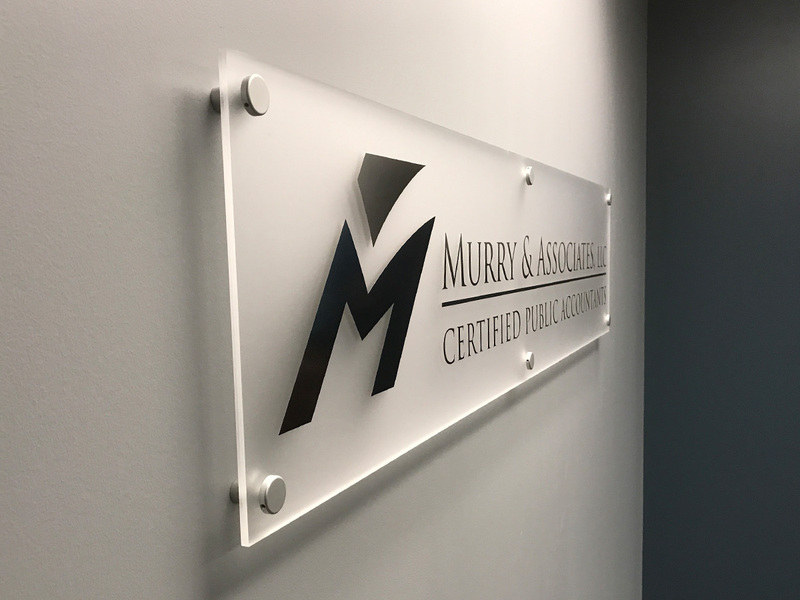 Our signage design team focuses on complimenting the existing architecture and creating a balance between appeal and effectiveness. Allow information to be easily updated as tenants change. 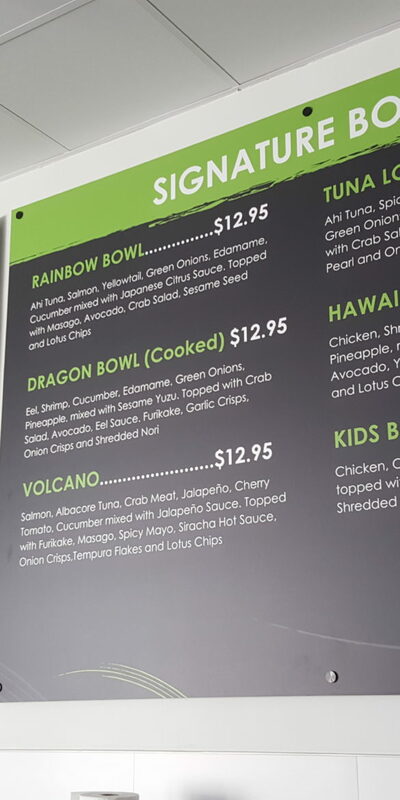 Information can be displayed in many effective ways including raised copy, laser engraving, braille, illumination, and digital formats. We also retrofit many existing directory boards giving them new life and added appeal. Have the ability to inform people of their surroundings in an unfamiliar setting. 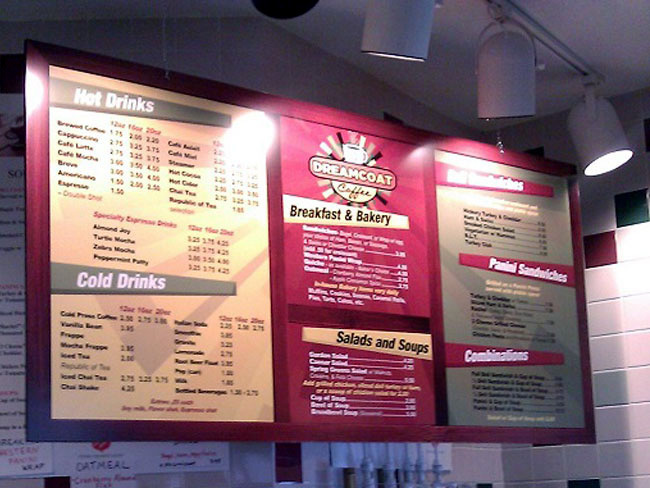 It is crucial to show information at strategic locations to guide guests in the right direction. 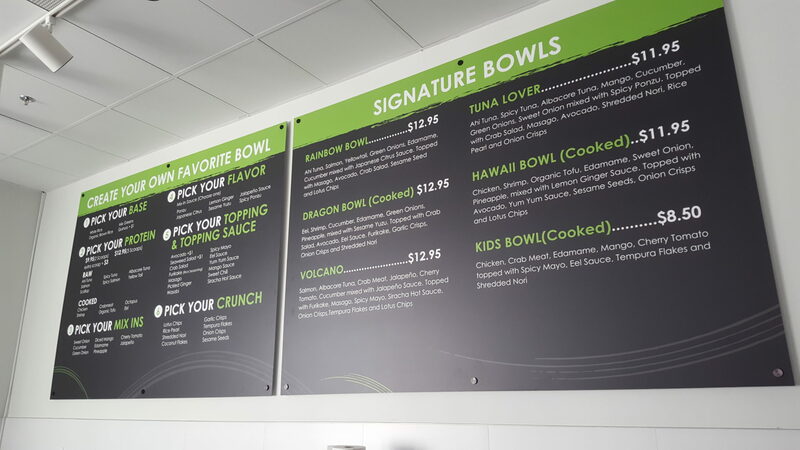 Wayfinding signs add beneficial information at optimal decision points allowing your guests find their way through the environment in the most efficient manner possible. 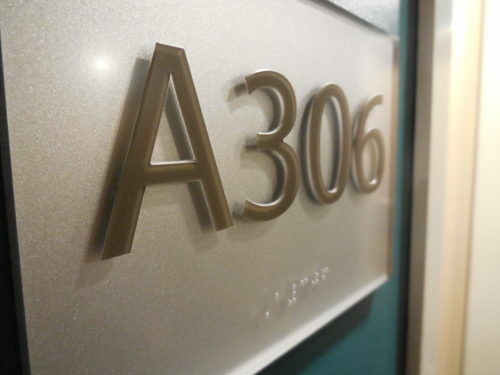 Braille can be added to any sign system allowing for ADA compliance. Braille characters are small rectangular blocks called cells that contain tiny palpable bumps called raised dots. Braille is a reading and writing system that allows people that are blind or visually impaired to easily find their way around a new place. 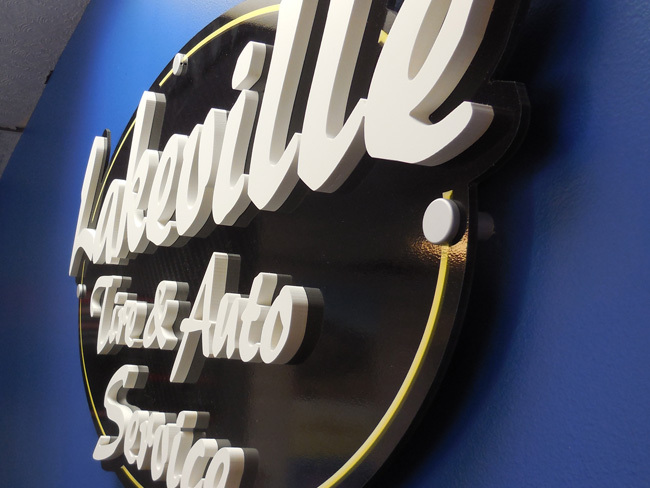 Facility signage is a key part of any business. Add some new appeal your company’s break-room or common areas with fun pieces that motivate your team! 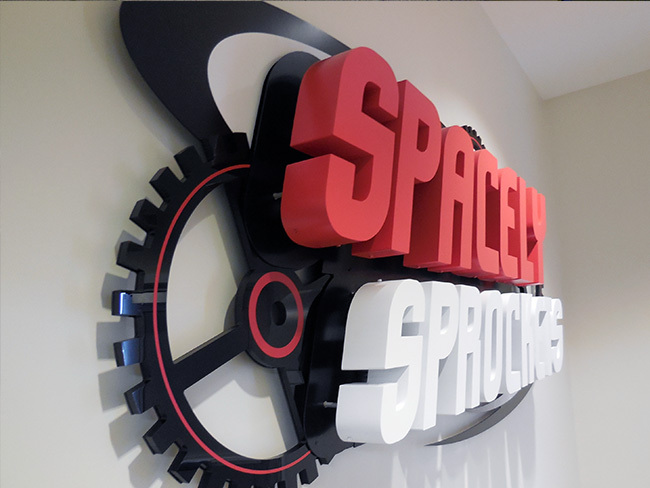 Employees love to work in a space that is creative and fun. In the end it makes for a more productive group on a whole! 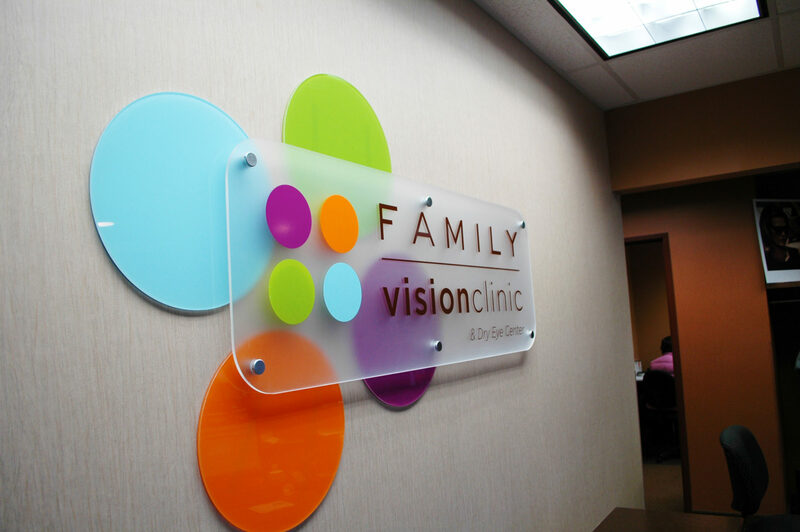 Implement strong logo and brand identity signs throughout your facility to inspire company pride and brand loyalty. 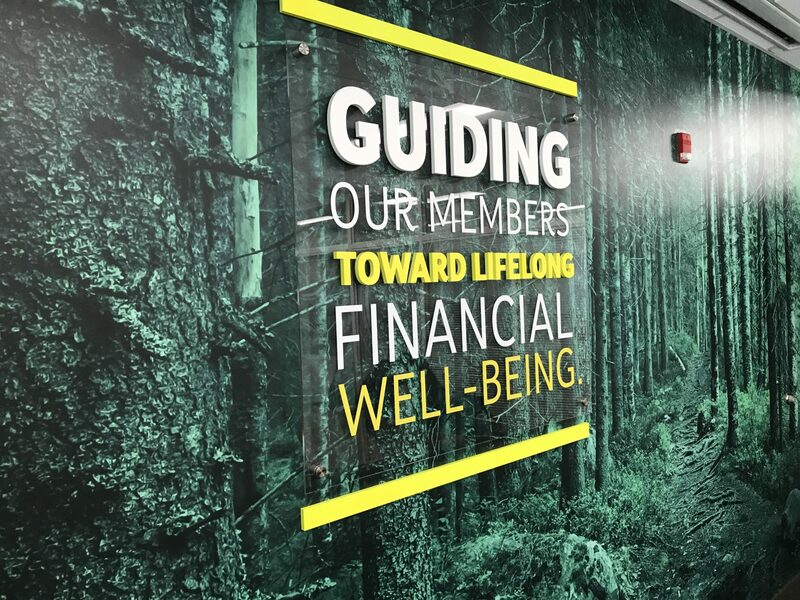 A mission statement sign is a great way to express your ethics and commitment to your clients by focusing on what makes your business unique. Are a great way to put your products on display in an effective manner. 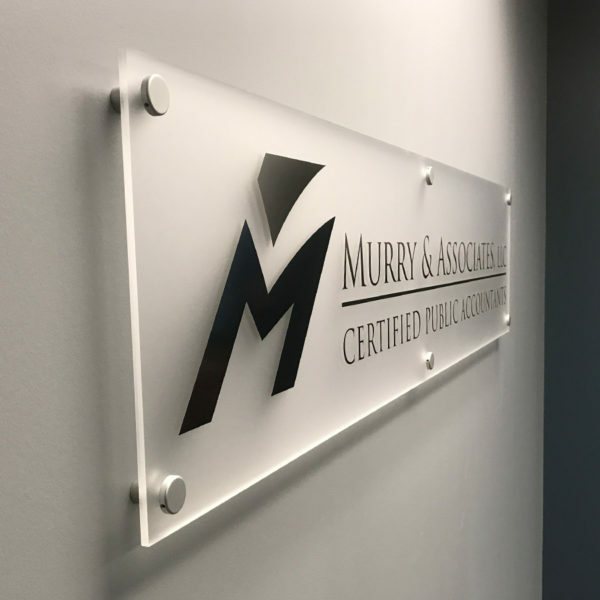 We look to create a custom space that not only showcase your services, but allows your clients to interact with your products to better understand there benefits. Are very important for your crew in to assist in easily identifying product locations and providing efficient shipping and handling practices. 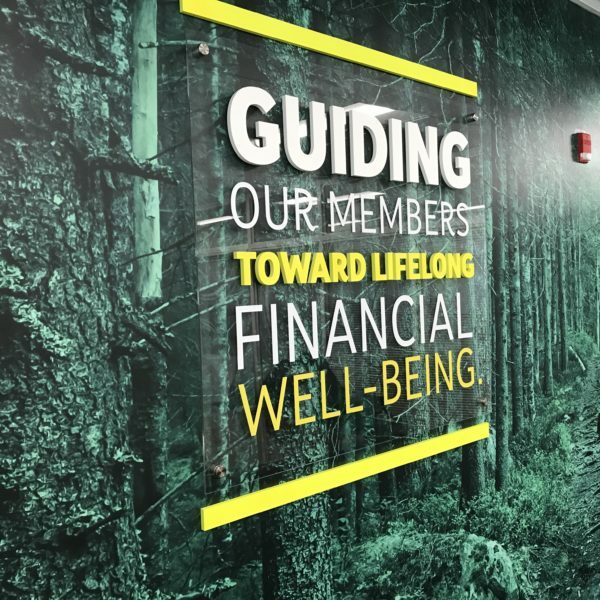 Safety messages and company policies can be boldly displayed for optimal visibility. 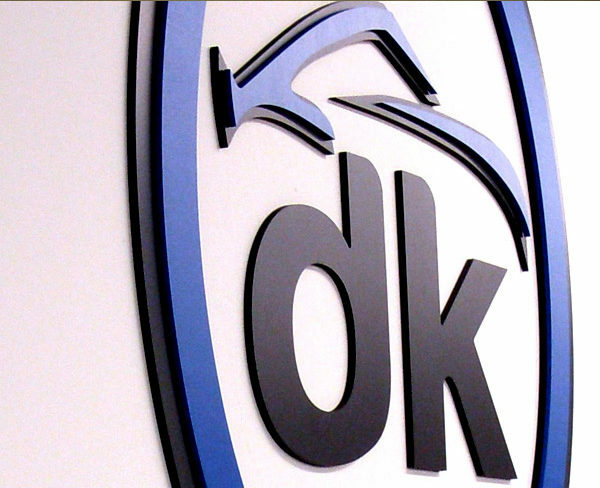 We offer reflective signs and safety stripes for added awareness throughout your shipping and receiving departments. 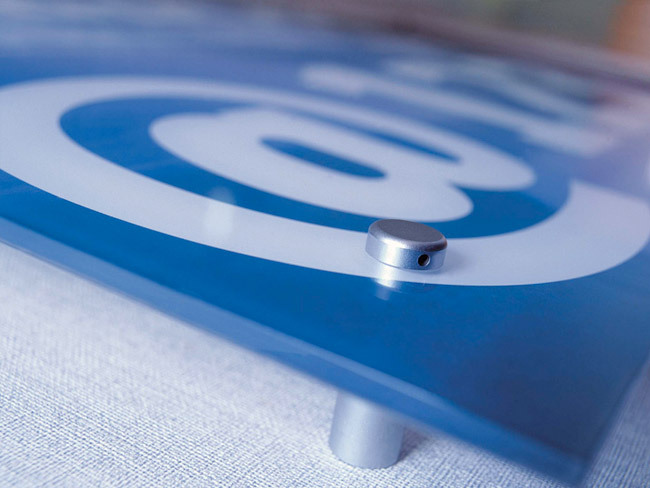 Reflective floor graphics offer your fork lift operators better navigation in low lighting. 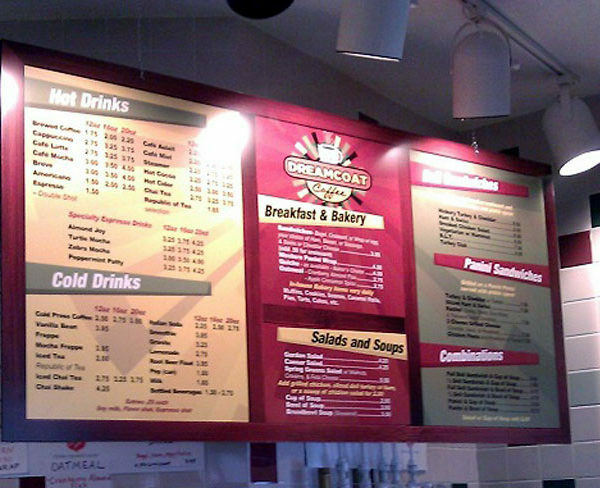 We offer a complete line of highly versatile display systems comprised of many elements. 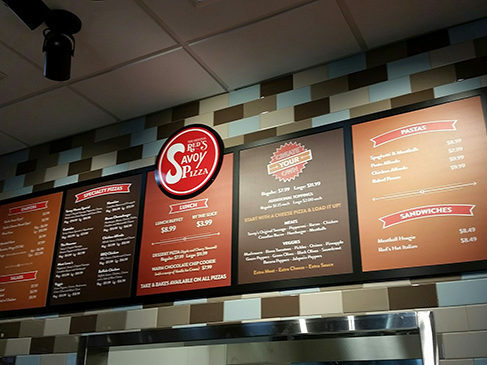 These systems offer a wealth of design opportunities that can be easily configured and reconfigured for interchangeable graphic panels, signage, product display and more. 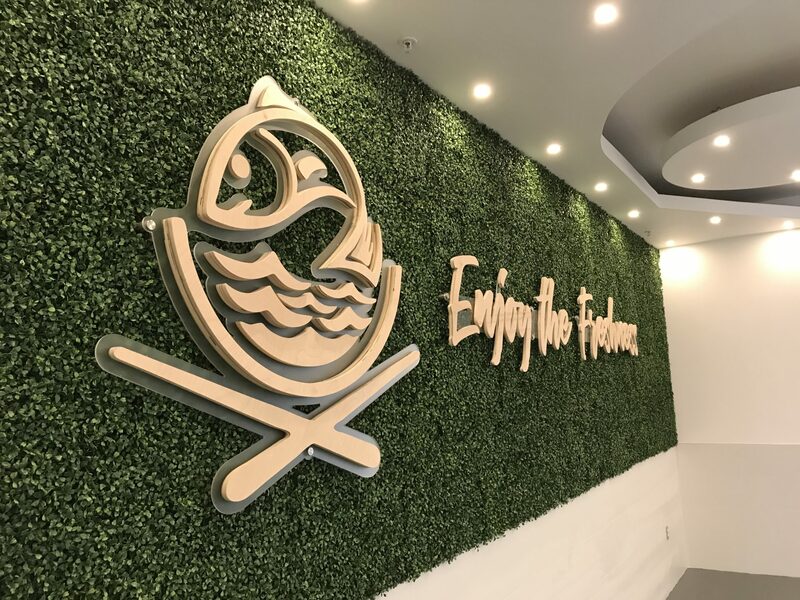 Our display systems are practical and elegant and have proven to offer the best when it comes to making a choice for a display solution for a Corporate Office, Campus, Lobby, Laboratory or Hospital Building, Museum, Art Gallery, Exhibition, Real Estate Agency or Retail Outlet. 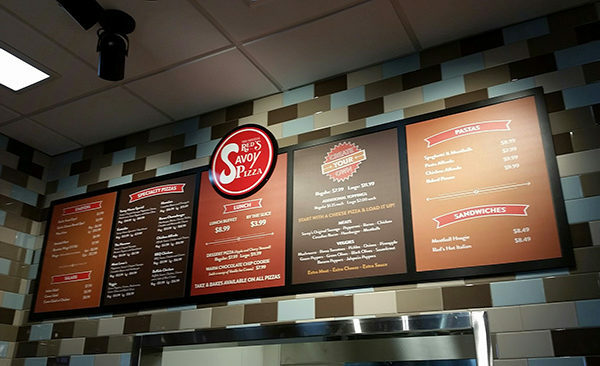 Are frame-less graphic panels designed for displaying posters, prints, photos or fine art reproductions by “sandwiching” them between two pieces of acrylic. The thickness, shape and type of panels may vary depending on the desired effect. The panels are mounted to walls using our panel supports. These allow the graphic to be easily changed. 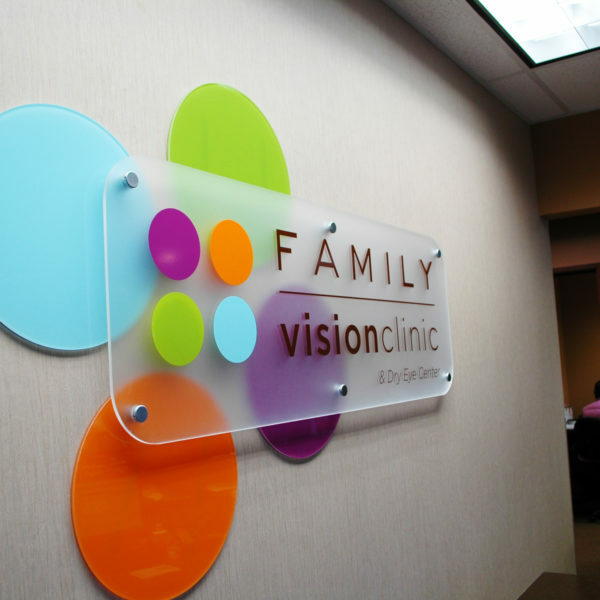 Select from standard clear acrylic, non-glare (non-reflective), color, frosted, or textured materials. 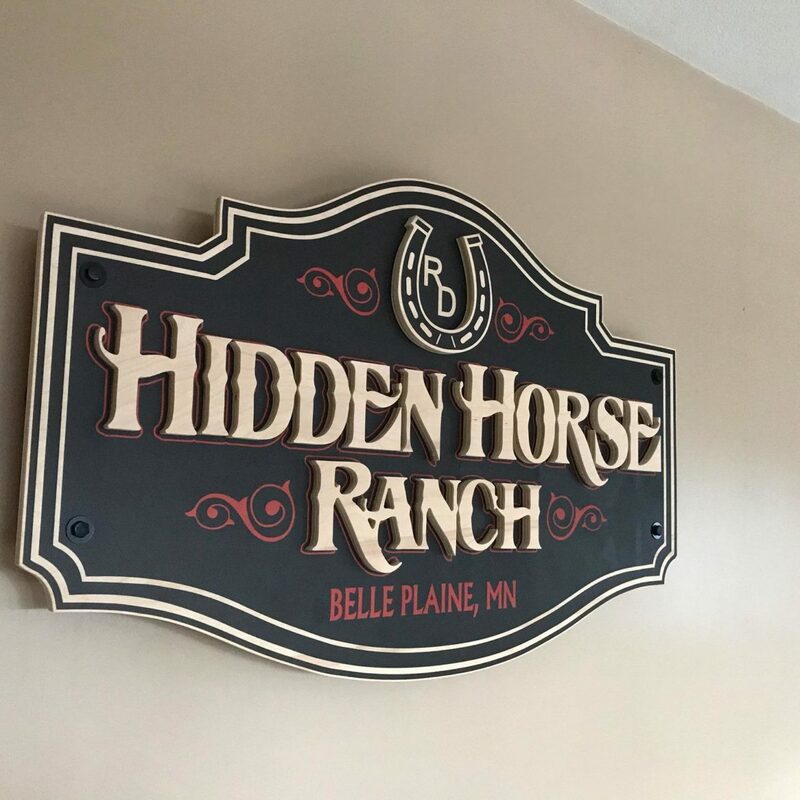 Often referred to as stand-offs, are a durable and modular sign support system that enables unlimited design possibilities and mounting flexibility. 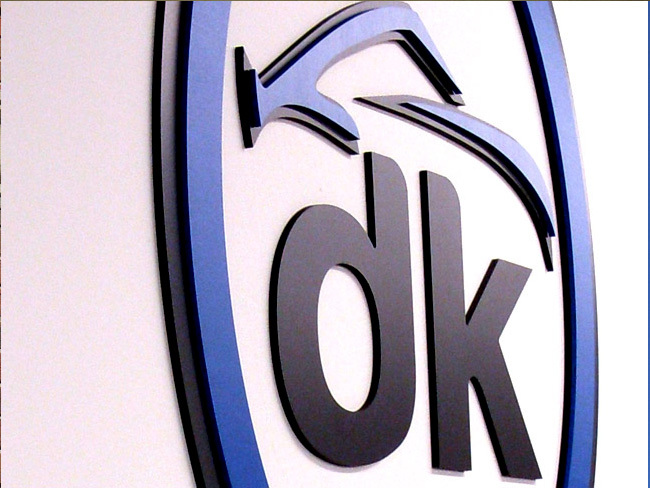 Perfect solution for: mounting signs, architectural plaques, logo panels, directories, etc. Components are interchangeable and highly customizable. 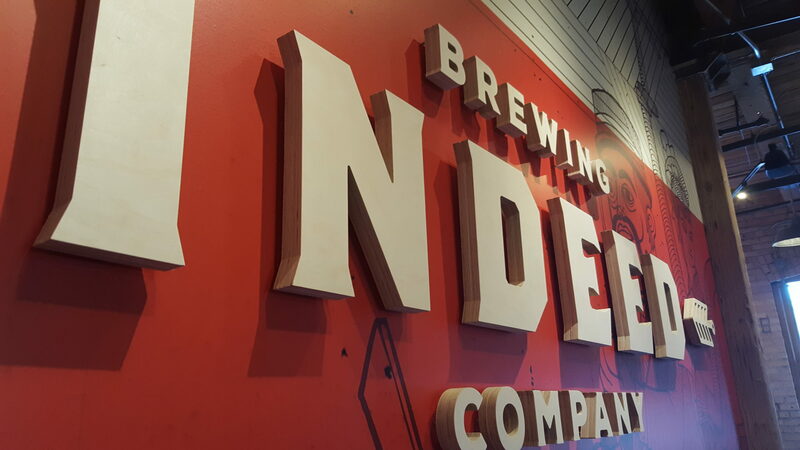 Our systems are innovative and flexible, covering just about any display application: from window in-store presentations, office signage, product showcases, to more complex institutional display solutions. Simple, streamlined and unobtrusive, the cables are almost invisible to the eye; the combinations are endless – enabling you to make a strong design statement. 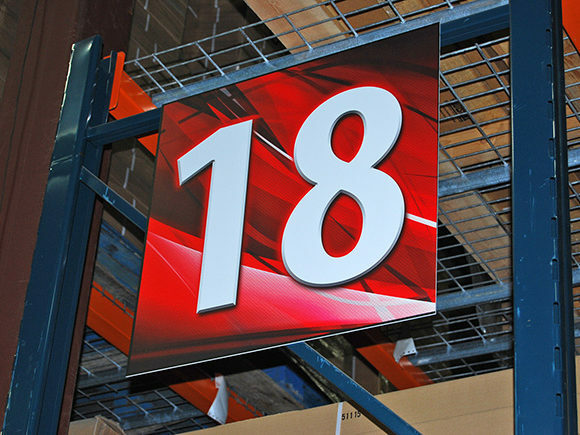 All systems allow easy, speedy updates of display materials – making your message immediate and impressive.